The explosive growth of Christianity in Africa and South America has led many observers to speak of this demographic shift as creating a new Christendom. Unfortunately, the teaching that has fueled growth in these areas has been tainted by an American-style prosperity emphasis that focuses on health and wealth at the expense of sin, redemption, and repentance. Femi Adeleye is the International Fellowship of Evangelical Students Associate General Secretary for Partnership and Collaboration. A Nigerian based in Ghana, Adeleye argues against the prosperity gospel from a place of personal experience and from an up-close view of how his country (and continent) is developing theologically. His book Preachers of a Different Gospel: A Pilgrim’s Reflections on Contemporary Trends in Christianity is a heartfelt plea to reject the prosperity gospel and embrace the biblical message that saves. Adeleye begins his book by describing a “strange gospel” that has created “strange Christians.” He laments the fact that many no longer adhere to the gospel as it was first presented in Africa. “The gospel that downplays human sinfulness and the eternal benefits of the gospel is not a gospel of Christ” (134). 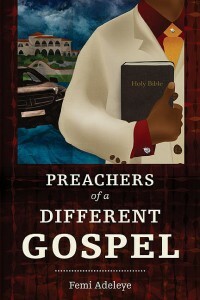 Throughout the book, Adeleye contrasts the revivals of the 1970′s with contemporary gospel presentations in an effort to show how quickly the degeneration has taken place. Quoting Dietrich Bonhoeffer, A.W. Tozer and others, Adeleye seeks to show the disparity between the prosperity teaching in Africa today and historic Christian witness. He writes: “Whereas the gospel of the cross calls for repentance and denial of self and other things, the gospel of champagne calls for self-satisfaction in response to stimuli from diverse entertaining attractions” (19). Adeleye sympathizes with the early aspects of the charismatic movement. He traces the history of recent African renewal movements and recounts his personal experiences during this time. At the same time, he laments the tendency of Africans to focus on the gifts of the Spirit more than the fruit. But Adeleye is careful to not critique in such a way as to create a different sort of distortion. When speaking of God’s immanence, for example, Adeleye seeks balance and makes sure to not rule out a believer’s experiential piety and relationship with God. Toward the end of the book, Adeleye points out ways that the prosperity gospel is responsible for some of Africa’s ongoing cultural problems. He sees the witness of the church as tightly tied to the content of the gospel it preaches. “The primary purpose of the gospel is to save us and bring us into a living relationship with God and with one another. The goal is to produce transformed people who bear witness to the righteousness of God” (134). Some may not agree with Adeleye’s description of Christians as “transforming agents” in society, but it is clear that Adeleye views societal transformation as intricately connected to personal evangelism and the church being the people of God. Preachers of a Different Gospel is a clarion call to the contemporary church to return to authentic Christianity, not only for the sake of the church, but also for the good of the world. You and your father would certainly agree with Adeleye, having been led by the spirit to found Ministry of Hope and Joy to the World! Grace and peace to you, and God’s blessings! I totally agree with Adeleye. His book comes just at the right time. This prosperity gospel has diverted the whole christian thinking. I never knew its more here in Africa. No wonder we are having more of business pastor/churches. One thing that Christians forget is the Mathew 24 vs 24. The false prophets won’t preach outside the gospel, but satan is using the very same gospel by making it compromised in a way to suit the weak christian mind, and finally be taken over by the ruthless Satan. Mathew 6 vs 33. Prosperity comes its way fully and satisfactorily if we seek His kingdom and righteousness first and fully. The fruits of the Holy Spirit should first be in us.